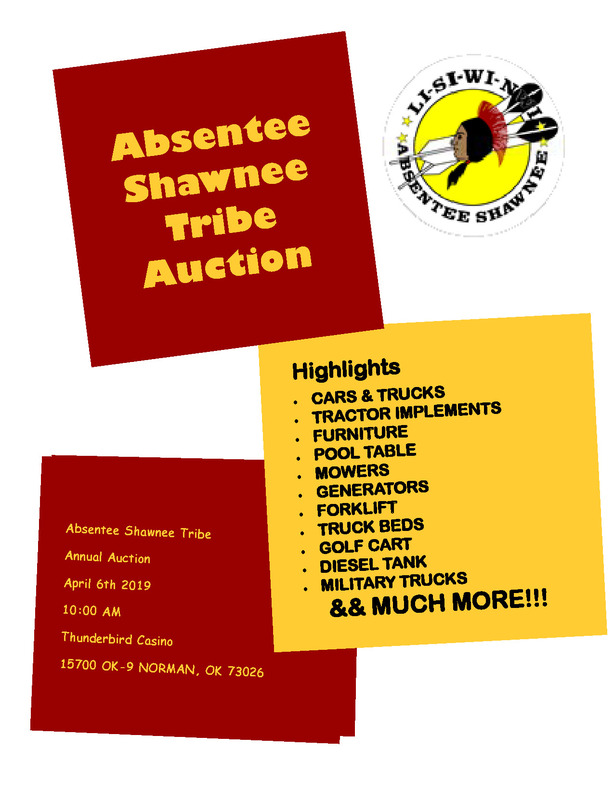 The Absentee Shawnee Tribe will be holding an auction at the Thunderbird Casino in Norman, OK on April 6th, 2019. Some items up for auction include trucks, furniture, tractor implements, mowers and so much more. For more info, call the Absentee Shawnee Tribe at 405-275-4030.